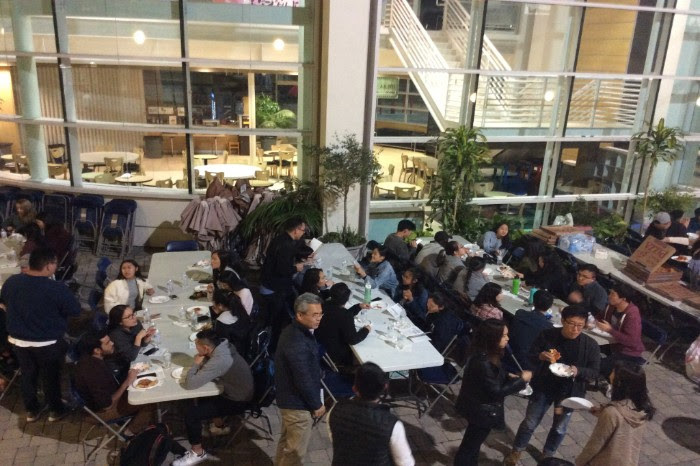 At this time of thanksgiving, I am so thankful for the GMMA family. It is beyond mere words. 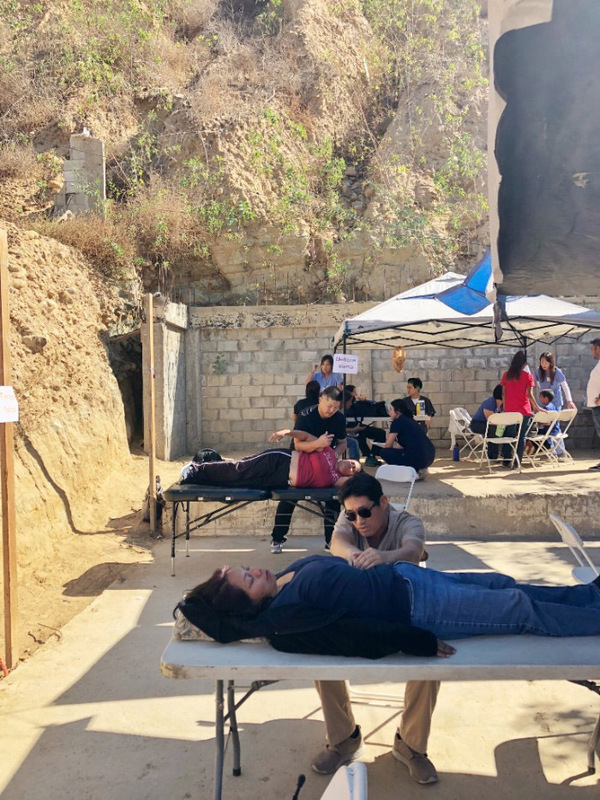 Witnessing the rising of students in over 40 campuses, responding ‘yes’ to Christ and choosing to make a difference through medical missions, is an amazing testament of God’s grace and purpose. Equally amazing, are the campus mentors and professionals joining in the journey. Thank you for serving! Each mission trip is accompanied by tough circumstances and challenges that require our full attention and decisions. I have heard various news of illnesses and accidents, even a death of a loved one before the mission trip. Yet, each time, in prayer and in tears, the teams supported each other and pressed on to serve the people of the mission sites. After each battle was won, always a beautiful testimony of thankfulness followed. Thank you, Lord, for allowing us to experience these gifts! As more things of this world are changing for the worse, all of us are facing our mountains to climb or web of issues to sort out. And at times, we struggle to live as Christians. How can we stay thankful in all circumstances as He commanded? The word TRUST came to me. No matter what life throws at us, and even when we go through periods of testing or doubt, we can trust the life that the Lord intended for us because He elected to form, create, and raise us for His glory before the foundation of the world. (Eph1:4) Our security lies with the Lord and not in our achievements, disappointments or the ebbs and flows of our faith. So, we can give thanks in all circumstances for He is with us. Thank goodness this truth will always be. Disciples of Christ are just like Jerusalem – we are all surrounded by God’s fortress – a protective barrier that we can’t build on our own. We can trust in him to guide and protect us. We are secured for eternity; nothing can separate us from His love so we can give thanks in all circumstance. As we celebrate Thanksgiving with beloved family and friends, I pray for a time of reflection on all that we are grateful for and a time of reconciliation and restoration of any broken relationships. May it be a time of rejuvenation of our trust in Him. 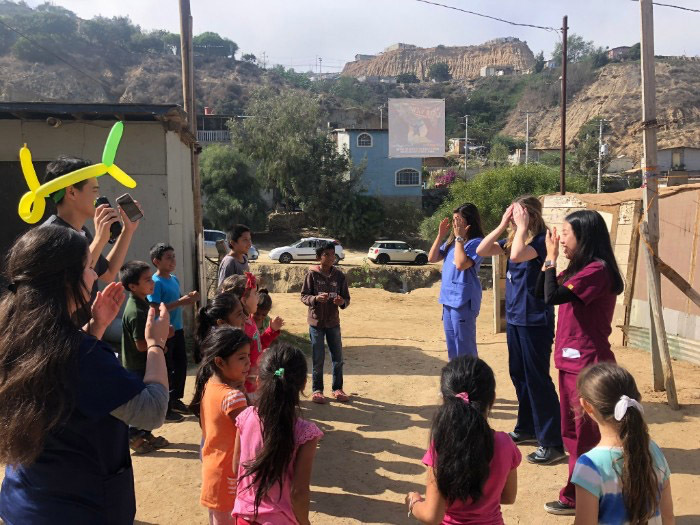 The October USC and Biola mission trip team traveled to Nuevo Milenio in Tijuana, Mexico. 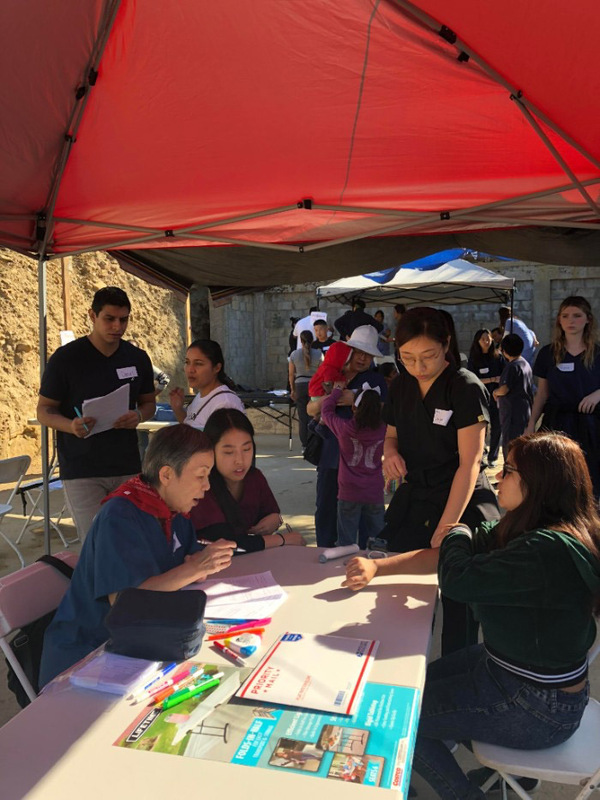 The team, led by Dr. Iris Lee, consisted of 13 undergraduate students, 3 graduate students (dental, medical, occupational therapy), 12 medical professionals, and 2 non-medical professionals. They arrived at La Iglesia Cristiana Jehova Jireh, a church that was planted by a pastor and his family just a few months ago. Hearing the story of the pastor’s family, the team was reminded of what it is like to have a true servant’s heart for God. There are always opportunities to serve Him, regardless of the circumstances. During the team’s time at the church, they ran a free clinic for the community there in addition to children’s ministry. Children’s ministry was amazing, and the team was blessed by the kids’ joy, openness, and kindness. During the short time there, they were able to really interact and get to know the kids and their stories. 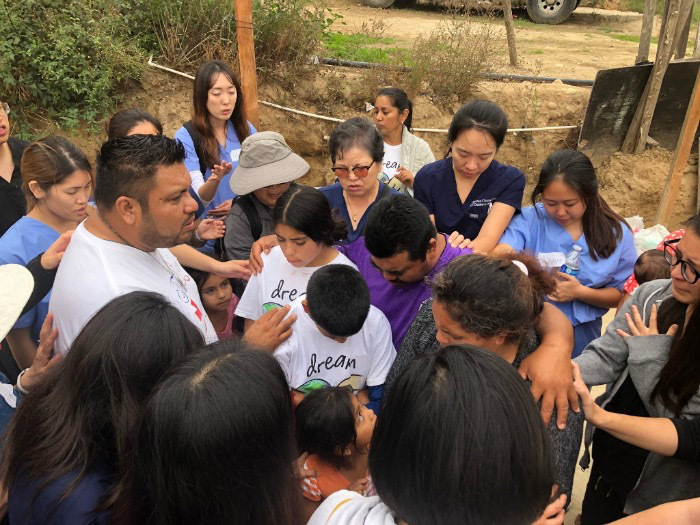 Many of the kids proclaimed their love for Jesus, and the team members truly were able to witness God’s love and the power of pouring out love unto others. The team was also blessed to witness spiritual healing and be reminded of the power of prayer. 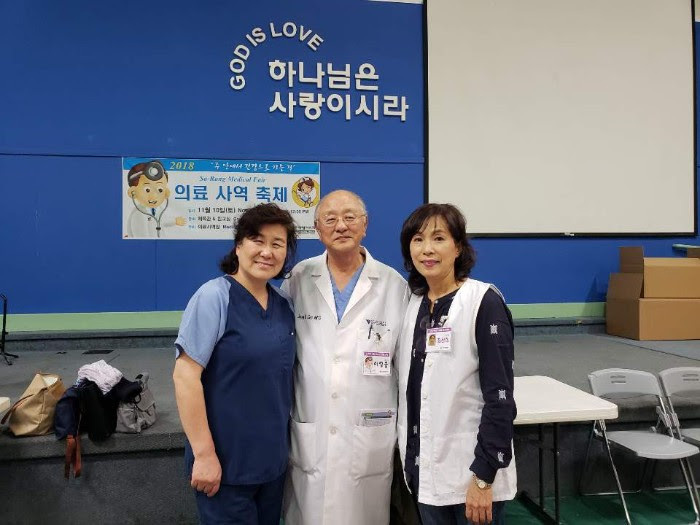 Dr. John Park, an oriental medicine doctor, spent three hours praying for the healing of a woman who was feeling very cold and was unable to move her left eye. By God’s grace, she was healed. The team gave all glory to God throughout the trip as He physically and spiritually healed the locals who came to the clinic. There is truly power in prayer, so the team took every opportunity to pray for the individuals there. The trip was a huge blessing to the team members, as they served God joyfully and shined His light to those around them. God was really moving throughout the entire trip. Please pray that God will continue to bless and provide for La Iglesia Cristiana Jehova Jireh and the people in Nuevo Milenio. How blessed are the GMMA professionals who are saying ‘yes’ to living a missional life for His glory. We honor them. 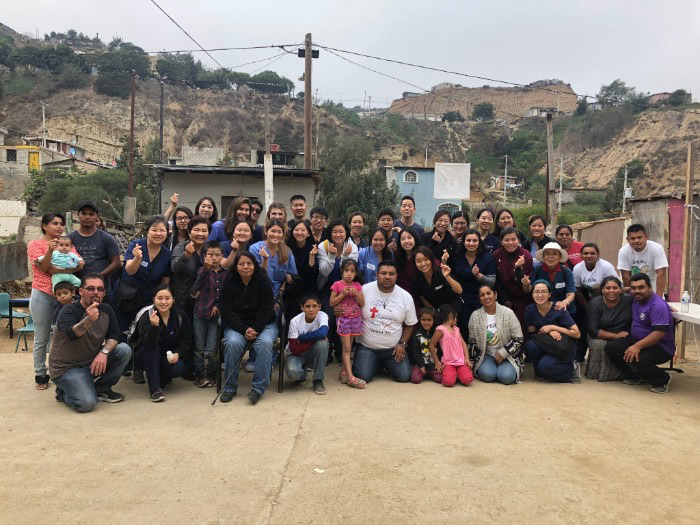 Please continue to pray for this group to get stronger and even more dedicated to guide and raise up the next generation of medical mission servants. Dr. Michelle Lee, National Dir. of Mentor Support visited the mentors and students of Northwestern University in Chicago to share and encourage. 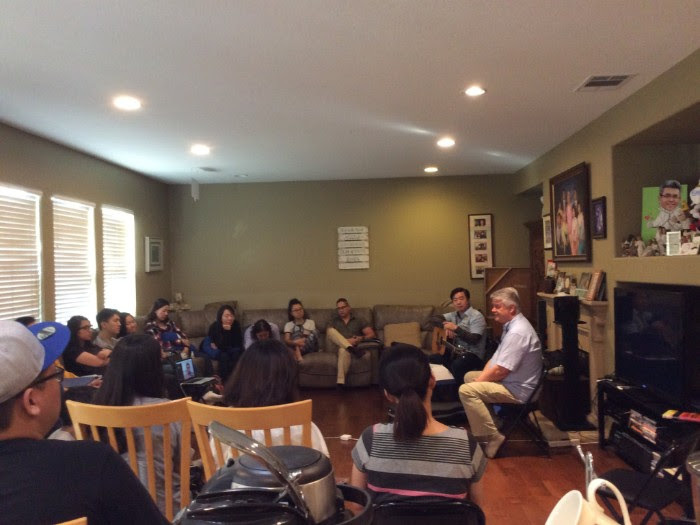 As you know California chapters coordinate monthly mission trips throughout the academic year. We are so thankful for the professionals that make time to join these trips and allow students to shadow and learn. 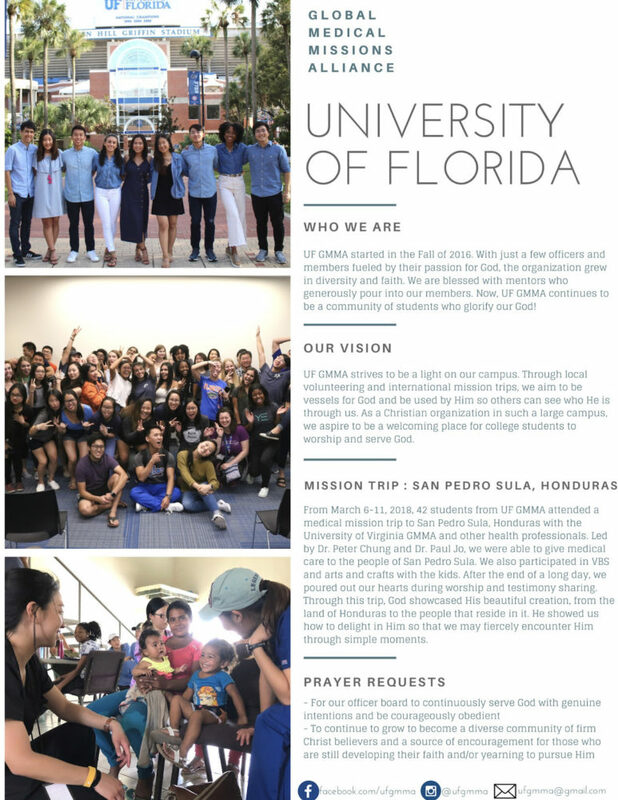 We need more professionals to be a part of these mission trips. Please join us. 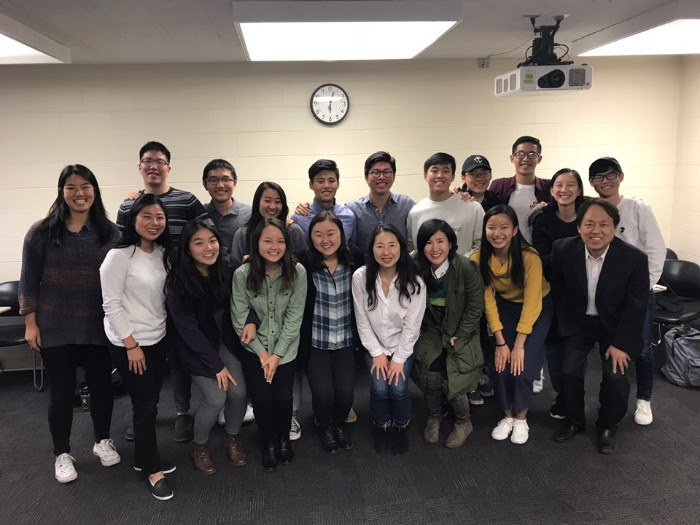 Dr. Ahn, Dir of Young Professionals Development serves with his team and coordinates quarterly meetings for the postgrads and young professionals to continue the journey of living out the missional life together. 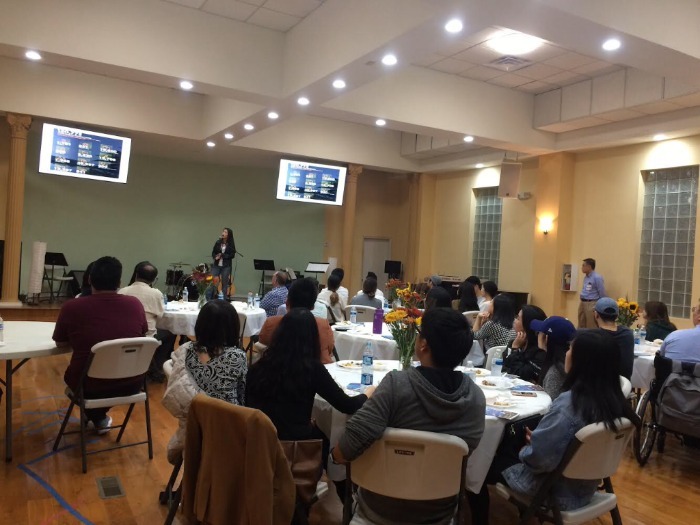 The October meeting consisted of four presentations about mission opportunities, worship, and great fellowship over dinner. Pray for this group to grow and expand like the unceasing light across the nation as they are the future mentors and mission trip leaders. 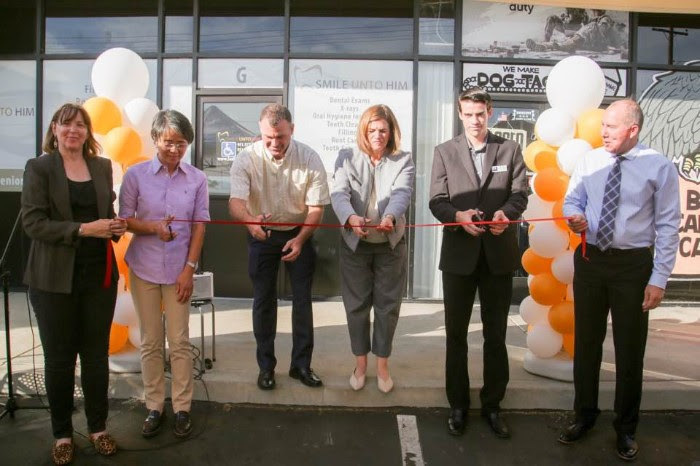 GMMA board member, Dr. Sue Suh, Endodontist, held a ribbon cutting ceremony at the SmileUntoMe’s free dental clinic with city officials and supporters. We welcome more dentists to volunteer a few hours a week to help the clinic to be a continued blessing to the community. Monthly prayer meetings resume on. Prayer is like our breath, without it, we die as a ministry. 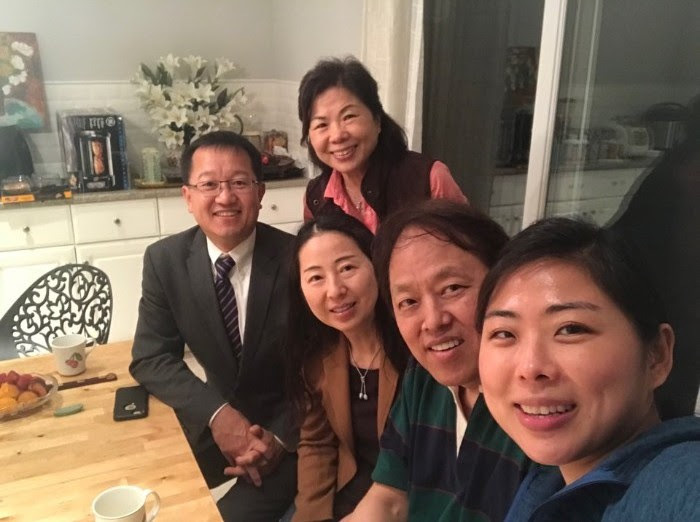 October meeting brought many new attendants like Dr. James, a dental anesthesiologist, and his daughter who wants to start a chapter at the Pomona College. 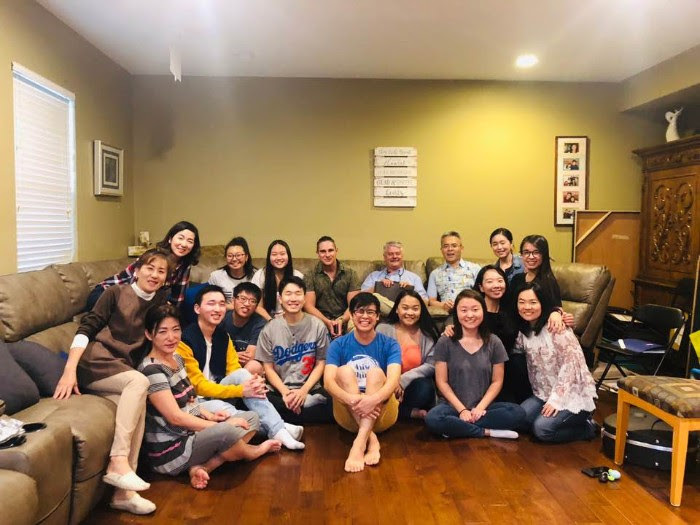 During October, Dr. Choi opened his house to feature a speaker, Brett Curtis of YWAM Medical Ship, to share his testimony of serving over 30 years on the medical ship and a ministry description. His young assistant, Jacque, from South Africa, shared his powerful testimony of leaving the company he founded for full-time ministry. 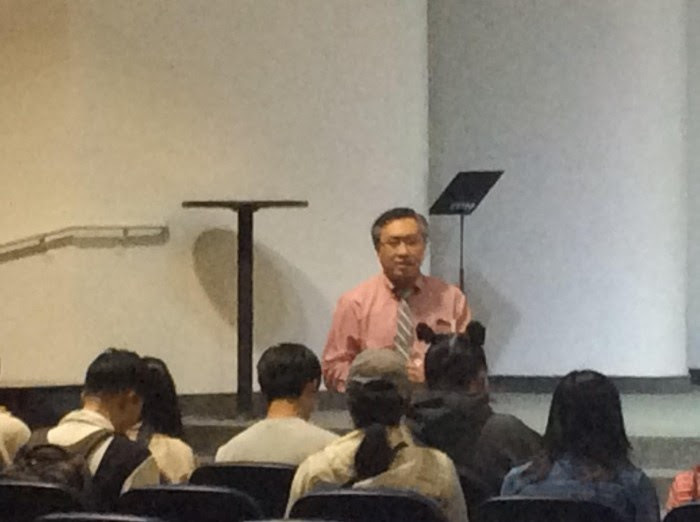 He expressed that he has traveled and experienced amazing things through the ministry and challenged the young attendants not to be afraid of saying yes when God calls you to serve. GMMA members Marshall Chey DDS and his wife Jennifer accompanied Dr. Bob and Diane Meyer of Christian Dental Society to Albania for a mission trip. Please read their testimony which they have graciously shared with us part1 part2. While there, the team was featured in the national news. Watch the news piece here. Again, this is just some of the activities. 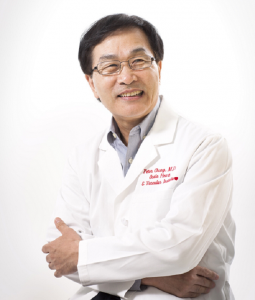 Our chairman Dr. Bae along with many others like Dr. Chung, our president, and Dr. Roh travel regularly as speakers around the world. Many serve to help out at medical fairs at local churches and assisting with mission trips. Check us out on Instagram to follow our weekly events and meetings.